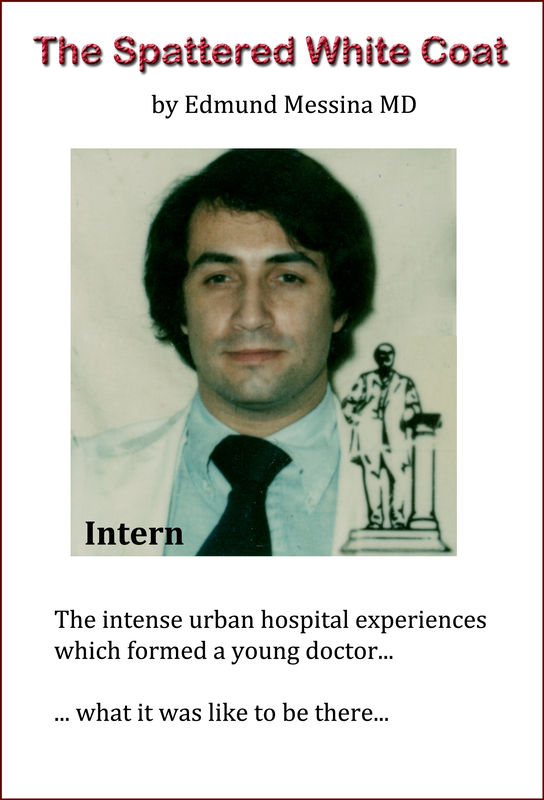 The Spattered White Coat is the memoir of a doctor who was introduced into the world of academic medicine by rotating through the grittiest and most demanding training experiences in Chicago, as a medical student and then as an Internal Medicine intern, in preparation for a career in Neurology. It is a true slice of life at a time when hours were long, teaching was constant and sleep was a rare commodity. There was an endless stream of patients with an unimaginable array of illnesess, trauma and self inflicted problems. The author hopes that this book will help the lay public understand the forces which mold a doctor and to remind medical colleagues what it was like when we were naive and enthusiastic and eager to truly learn medicine. The many events in this book are not just amusing anecdotes or complaints about hard work. They shocked, demanded and challenged the author to learn and adapt and that growth is apparent as the book progresses. It is the formation of a doctor.